Gareth is a psychologist primarily interested in developing and evaluating interventions to change health behaviour. As a researcher in the Behaviour and Health Research Unit, he is currently working on a range of evidence reviews and primary research projects examining the most effective ways to change behaviour at the population level (www.bhru.iph.cam.ac.uk). 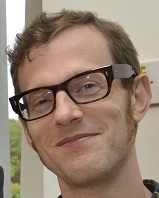 Gareth studied Experimental Psychology at the University of Oxford, followed by clinical roles in the NHS (in neurological rehabilitation and in early intervention for psychosis). He then worked in HIV/AIDS research and counselling in San Francisco, USA, followed by an MSc in Health Psychology at University College London. He completed a PhD in Health Psychology at the Institute of Psychiatry, King’s College London, awarded in 2010, and joined the Behaviour and Health Research Unit in 2011. Systematic reviews of interventions to change behaviour. Hollands GJ, Cartwright E, Pilling M, Pechey R, Vasiljevic M, Jebb SA, Marteau TM (2018). Impact of reducing portion sizes in worksite cafeterias: A stepped wedge randomised controlled pilot trial. International Journal of Behavioral Nutrition and Physical Activity; 15:78. Crockett RA, King SE, Marteau TM, Prevost AT, Stubbs B, Bignardi G, Roberts N, Hollands GJ‡, Jebb SA‡ (2018). Nutritional labelling for healthier food or non-alcoholic drink purchasing and consumption. Cochrane Database of Systematic Reviews; 2:CD009315. Hollands GJ, Bignardi G, Johnston M, Kelly MP, Ogilvie D, Petticrew M, Prestwich A, Shemilt I, Sutton S, Marteau TM (2017). The TIPPME intervention typology for changing environments to change behaviour. Nature Human Behaviour; 1:0140. Hollands GJ, Carter P, Shemilt I, Marteau TM, Jebb SA, Higgins J, Ogilvie D (2017). Altering the availability or proximity of food, alcohol and tobacco products to change their selection and consumption [Protocol]. Cochrane Database of Systematic Reviews; 3:CD012573. Hollands GJ, Marteau TM, Fletcher PC (2016). Non-conscious processes in changing health-related behaviour: a conceptual analysis and framework. Health Psychology Review; 10(4):381-394. Hollands GJ, Marteau TM (2016). Pairing images of unhealthy and healthy foods with images of negative and positive health consequences: impact on attitudes and food choice. Health Psychology; 35(8):847-851. Hollands GJ, French DP, Griffin SJ, Prevost AT, Sutton S, King S, Marteau TM (2016). The impact of communicating genetic risks of disease on risk-reducing health behaviour: systematic review with meta-analysis. BMJ; 352:i1102. Marteau TM, Hollands GJ, Shemilt I, Jebb SA (2015). Downsizing: policy options to reduce portion sizes to help tackle obesity. BMJ; 351:h5863. Hollands GJ*, Shemilt I*, Marteau TM, Jebb SA, Lewis HB, Wei Y, Higgins JP, Ogilvie D (2015). Portion, package or tableware size for changing selection and consumption of food, alcohol and tobacco. Cochrane Database of Systematic Reviews; 9:CD011045. Hollands GJ, McDermott MS, Lindson-Hawley N, Vogt F, Farley AC, Aveyard P (2015). Interventions to increase adherence to medications for tobacco dependence. Cochrane Database of Systematic Reviews; 2:CD009164. Hollands GJ, Shemilt I, Marteau TM, Jebb SA, Kelly MP, Nakamura R, Suhrcke M, Ogilvie D (2013). Altering micro-environments to change population health behaviour: towards an evidence base for choice architecture interventions. BMC Public Health; 13:1218. Marteau TM, Hollands GJ, Fletcher PC (2012). Changing human behavior to prevent disease: the importance of targeting automatic processes. Science; 337(6101):1492-1495. Hollands GJ, Whitwell SCL, Parker RA, Prescott NJ, Forbes A, Sanderson J, Mathew CG, Lewis CM, Watts S, Sutton S, Armstrong D, Kinmonth AL, Prevost AT, Marteau TM (2012). Effect of communicating DNA based risk assessments for Crohn’s disease on smoking cessation: randomised controlled trial. BMJ; 345:e4708. Hollands GJ, Prestwich A, Marteau TM (2011). Using aversive images to enhance healthy food choices and implicit attitudes: an experimental test of evaluative conditioning. Health Psychology; 30(2):195-203. Marteau TM, French DP, Griffin SJ, Prevost AT, Sutton S, Watkinson C, Attwood S, Hollands GJ (2010). Effects of communicating DNA-based disease risk estimates on risk-reducing behaviours. Cochrane Database of Systematic Reviews; 10:CD007275. Hollands GJ, Hankins M, Marteau TM (2010). Visual feedback of individuals’ medical imaging results for changing health behaviour. Cochrane Database of Systematic Reviews; 1:CD007434.